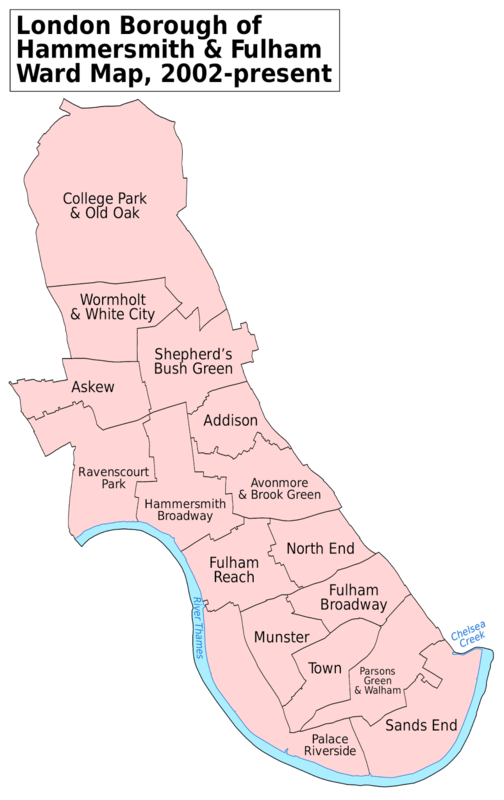 The residents of Hammersmith and Fulham voted 70% in favour of the United Kingdom of Great Britain and Northern Ireland remaining in the European Union. Thirty per cent voted to leave. Hammersmith & Fulham’s results reflected other similar views across London, Scotland and Northern Ireland. However, as we now know, other parts of our country did not share that position and have voted to leave. 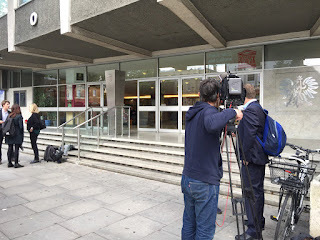 The result is a shock to many and so on this particular day, this administration wants to send a very clear and very warm message of welcome to the thousands of EU citizens that have made our borough their home. We are deeply grateful for: the businesses they’ve started; the hard work they do; and for how our culture has been enriched because they have chosen to live with us in our beautiful corner of West London. We will do everything we can to ensure all H&F's EU residents feel as welcome today, and each day thereafter, as they did yesterday. What happens next for our country and its relationships with other countries is unclear. The turmoil on the financial markets reflects some of that. But we in H&F will continue to work hard to support local businesses and do everything in our power to fight for the prosperity and well-being of all who live here. 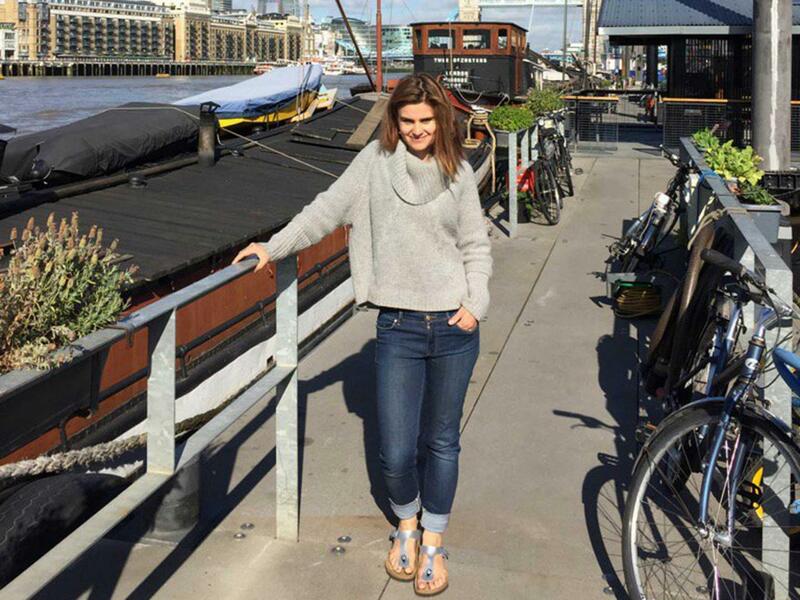 We are devastated by the death of Jo Cox who died from her injuries following an attack on her as she left her constituency surgery. She was a compassionate campaigner and the world is a colder place without her. Our thoughts, sorrow and love go to her husband Brendan Cox, her children and her family and friends. "Today is the beginning of a new chapter in our lives. More difficult, more painful, less joyful, less full of love. I and Jo's friends and family are going to work every moment of our lives to love and nurture our kids and to fight against the hate that killed Jo. "Jo would have no regrets about her life, she lived every day of it to the full". 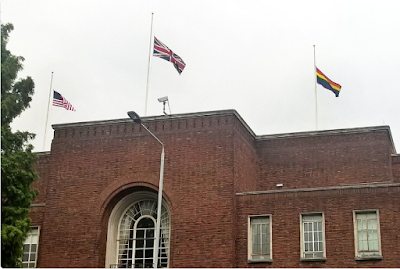 Tonight, over Hammersmith Town Hall, the rainbow coloured LGBT Pride flag flies at half-mast alongside the Stars and Stripes and the Union Flag. The mass shootings by Omar Mateen, an American citizen, in the Pulse nightclub in Orlando was an act of hate. Hate that led Mateen to murder forty-nine people, wound 53 more and devastate the families and loved ones of those he attacked. We send our love and deep sorrow to all those suffering the loss of someone they cared about and in flying the LGBT flag, we send a message that we stand in proud solidarity with all who are LGBT. 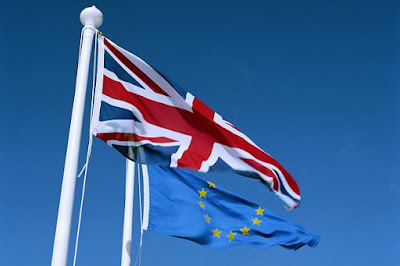 The vote on 23 June, that will decide whether or not the United Kingdom of Great Britain and Northern Ireland will remain in the European Union, will be the most important vote I ever cast. The consequences will: affect our country; they will affect the borough I have the privilege to lead and care about; and they will affect my family for generations to come. There are many positive reasons for staying in Europe as I set out below, but at the time of writing this, the FTSE 100 has fallen by £100 billion in just four days - which isn't scaremongering, it's actually something that has already happened based on no more than the fear of Brexit. It is also worth noting that this article in The Washington Post, titled "Britain flirts with economic insanity" was written to inform an American audience - not to influence a British one. When I was a small child in the 1960s the majority of countries in Europe were governed by either fascist or communist dictatorships. War had been the way change came to Europe throughout our long history but that post Second World War generation chose a different way and set up the beginnings of what later became the European Union. Now democracy spreads across our continent, in large part, because each country wanting to belong to the EU has to pass our criteria of being a fully functioning democracy and demonstrating how they respect the rights and freedoms of each of their citizens. Nobody knows what the world will be like in 100 years time but we do know that 100 years ago Europe was in the middle of the first horrific world war that saw millions of its citizens killed. The EU's track record of bringing peace to our continent is now both decades long and unprecedented. It can continue to do that for future generations if we keep it and continue to influence it. I believe if any of the brave women and men who fought and died (in their millions) to liberate Europe in either of the 20th century's two great wars could know that this is how we now bring change and hammer out our differences, they would think the EU to be a wonderful thing. I don't think it's right or sensible that Britain steps away from that. But Europe isn't perfect. There is a lot that needs radical reform. 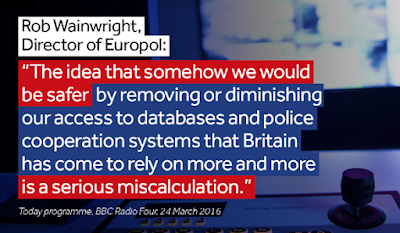 So how do we in Britain make that happen? Leaving the room where the negotiations occur is just not the answer. Far from 'taking control', as the leave campaign slogan somewhat disingenuously suggests, Britain will lose a large amount of our influence if we leave. That would be bad now but with each passing decade it will continue to weaken our ability to protect our national interests and get things done. Hard facts need to be at the heart of any decision of this magnitude. Yet there are many inaccuracies on everything from immigration to trade. This is a good website to fact check. 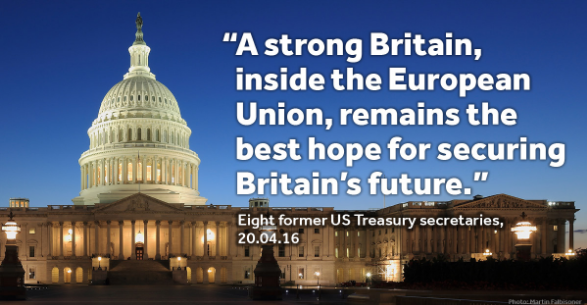 Speaking from a partisan perspective, I believe Britain is at its best in the EU when there is a Labour government. The EU helped the 1997 Labour government secure better working conditions and improvements for the average British citizen. It's helped bring peace to Northern Ireland and it's helped increase the standards of living for hard working British families. 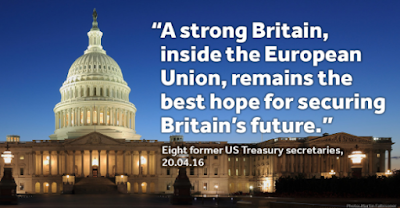 No matter who is in charge, Britain is a vocal and powerful member of the EU. We are on the winning side of all EU votes 95% of the time. For the past 43 years we have shaped much of how the current EU is and how it operates. The EU is our biggest trading partner and it is the biggest investor in the UK economy. If we leave, no matter what arrangement we come up with, we will still have to abide by its laws in one form or another. For example, one option preferred by many in the Brexit camp, (although likely to be blocked by EU member states) is after we leave the EU we become a member of the European Economic Area (EEA). That would mean Britain would still have to pay into the system and still have to accept all EU laws on the free movement of goods, people, services, capital and more. But we will simply no longer have a role in deciding what those laws are. Playing an active role in the EU and with an ambitious agenda that continues to influence what the EU does is the best way of protecting Britain's sovereign national interests. But what is the alternative? Exactly what is the Brexit campaign arguing for? Well, as yet there isn’t anything that even resembles another proposal, let alone a plan which the Brexit campaigners agree on. I appreciate that the future is by its very nature unpredictable but the Brexit campaign cannot even tell us what they think will happen later this summer if we leave - as this video shows. Slaughter and May (an international law firm) have done a more thorough independent analysis of our options which you can read here. None of the leave options offer anything but many years of highly damaging uncertainty. Uncertainty always negatively affects mortgage rates, it affects food prices, it causes unemployment so it will negatively affect the livelihoods of Britons up and down the country. 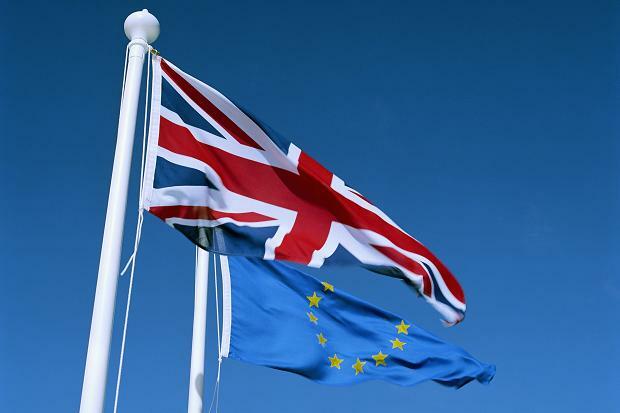 Most commentators agree that Britain will be seeking to negotiate an alternative European agreement at a time when the remaining EU countries are likely to feel pretty sore with Britain for leaving and so destabilising their economies and national security. Any of the remaining 27 EU countries could veto a new agreement with Britain for any reason. Germany's finance minister has already said Germany will block our entry into the single market. The Telegraph offers this insight into how other European countries will react. If you want to know what the New York Times thinks the other EU countries will do if Britain leaves, click here. Even our friends in the United States say that they will not negotiate a special trade deal for Britain. Meanwhile only 18 months ago, one of the main reasons Scotland voted to remain in the UK was because they were told they would not enjoy automatic membership of the EU if they left. If the UK leaves the EU it will legitimately reopen the question for the Scots whether they should leave the UK and rejoin the EU. Nigel Farage, the UKIP leader, has suggested that Britain's alternative economic approach will be to accelerate the effects of globalization by getting rid of all tariffs on goods traded with all countries. The effects of globalization is the very thing most people considering voting to leave the EU are against. Farage's plan would decimate British jobs. What's clear is the Brexit camp have no alternative plan should we exit the EU and even if they did there is absolutely no other country or economic block that is even considering working with us on it. It is not even clear what 'us' will mean. Do the Brexiters believe they would be negotiating on behalf of the UK as it is now or a new smaller country without Scotland? The Governor of the Bank of England said leaving the EU will be the "biggest domestic risk to financial stability". The Organisation for Economic Co-operation and Development (OECD) said "A UK exit from the EU would immediately hit confidence and raise uncertainty which would result in the average British household being £2,200.00 per year worse off". The International Monetary Fund (IMF) said it will have "pretty bad, to very, very bad" consequences. The response to these warnings from those wanting Britain to leave is to seek to fudge and confuse people by putting up the odd individual economist (no serious independent organisation has backed Brexit) to say they don't think things will be that bad. The Brexit camp are prepared to admit that leaving will not make us richer. In reality they know full well it will make most British working families poorer - they just think that's a price worth paying. Russian President Vladimir Putin is no friend of Great Britain but he wants us to leave. Donald Trump, the US property speculator turned bizarre-Republican presidential candidate says he hopes Britain leaves. 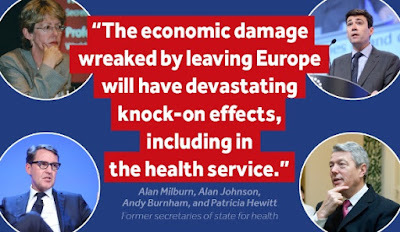 In Britain, the largest majority of politicians lining up to argue for Brexit are right-wing Conservatives and members of UKIP who have never shown any concern for the rights of hard working British families or public services like the NHS. Iain Duncan-Smith has spent the last five years attacking and undermining some of the poorest people in Britain. Norman Lamont, the former Conservative Chancellor of the Exchequer, was a prominent apologist for the murdering Chilean ex-dictator General Augusto Pinochet. Boris Johnson appears to have flipped his position from remain to exit because he thinks that will help him become the next leader of the Conservative Party. And Nigel Farage said he wanted to close down the NHS and move to an American style insurance system - which leaves millions of people without health cover. Those people have their own agenda and they're not being straight with us about what it is. I'm absolutely certain it is not an agenda that cares about the average British family because they've never demonstrated any genuine concern before. The EU will most likely, and hopefully, be an institution that survives and develops for decades to come. If we leave its current boarder would be just 22 miles off our southern coast. I want to make sure my country continues to influence it and that means voting to stay in. There are many positive reasons for staying: it has brought decades of peace and continues to spread democracy across the European continent; it brings much greater security, helps tackle crime and helps us fight terrorism; it brings cheaper and better holidays; cuts mobile roaming charges; protects and improves our environment; brings better food at better value; supports a stronger UK economy and a better standard of living for the average British household; and undoubtedly brings more and better jobs. That's why friends of Britain like US President Barack Obama, Canada's Prime Minister Justin Trudeau, Australia's Prime Minister Malcolm Turnbull, New Zealand's Prime Minister John Key, India's Prime Minister Narendra Modi, Japan's Prime Minister Shinzo Abe, US Democratic presidential candidate Hillary Clinton and many more want us to stay. 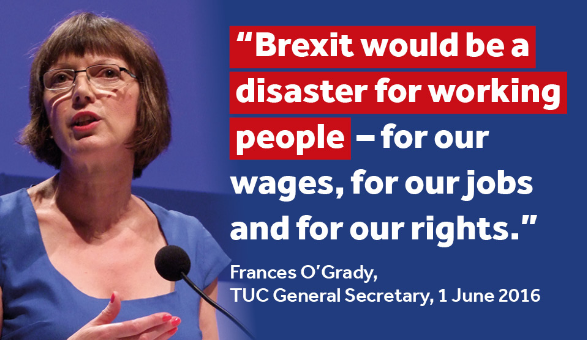 But most important of all, staying in the EU is in the best interests of hard working British families now and in the future and that's why I am voting to remain.